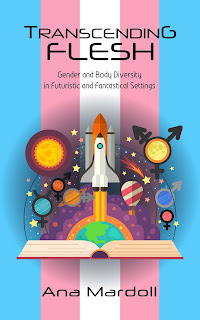 An enthusiastic proponent of diverse stories and "own voices" narratives, Ana writes stories which include bisexual and polyamorous lovers, transgender and genderqueer characters, disabled characters dealing with chronic pain and mental illness, survivors of sexual violence with post-traumatic stress disorders, and pagan and wiccan religious practitioners. A quiet fisher mourning the loss of xer sister to a cruel dragon. A clever hedge-witch gathering knowledge in a hostile land. A son seeking vengeance for his father's death. A daughter claiming the legacy denied her. A princess laboring under an unbreakable curse. A young resistance fighter questioning everything he's ever known. A little girl willing to battle a dragon for the sake of a wish. These heroes and heroines emerge from adversity into triumph, recognizing they can be more than they ever imagined: chosen ones of destiny. 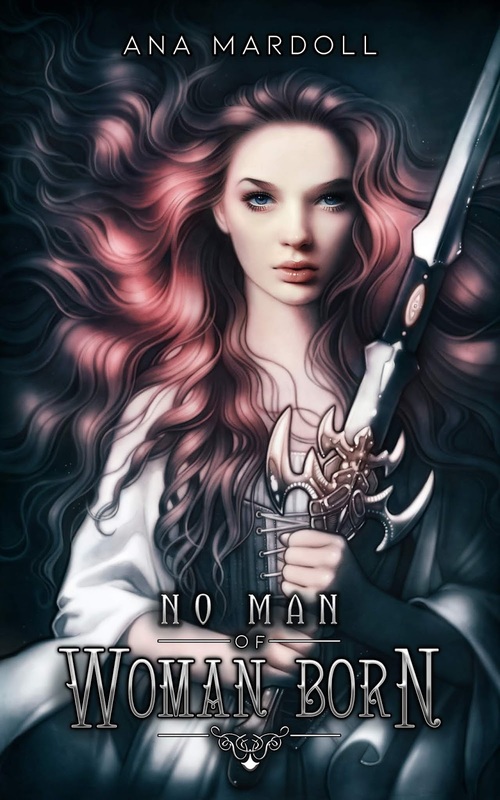 From the author of the Earthside series and the Rewoven Tales novels, No Man of Woman Born is a collection of seven fantasy stories in which transgender and nonbinary characters subvert and fulfill gendered prophecies. These prophecies recognize and acknowledge each character's gender, even when others do not. Note: No trans or nonbinary characters were killed in the making of this book. Trigger warnings and neopronoun pronunciation guides are provided for each story. Note: No Man of Woman Born is a collection of short stories which may be read in any order. Faeries walk among us, though our eyes are not keen enough to pierce their disguises. They lurk in city shadows, stealing away unwary humans to the otherworld. The taken are altered to serve their new masters as lovers, soldiers, or cattle: memories wiped away, bodies twisted into new shapes, and latent magic drawn to the surface and spun into powerful talents. These captives become half-human and half-fae, never belonging to the otherworld but without any memory of their home. Only a lucky few will escape their torments to return earthside, and those who do quickly learn that danger has not passed. The evening wasn't supposed to end in kidnapping, yet despite best laid plans three college students find themselves hauled out of the local bar and into another world. Imprisoned in a nightmarish fairyland where boys are forced to fight horrific monsters for the entertainment of their captors and girls are served up as prizes to the victors, a small group of human captives must learn how to work together in order to survive. Yet trust is difficult in a place where every memory has been ripped away, leaving the young adults unable to remember the first thing about themselves or their pasts. Can they overcome their fears and mistrust of each other and use their newly awakened powers to escape? Old stories are familiar as a cherished blanket, worn thin and threadbare from loving use. These retellings break those stories down to the bare elements and reweave them into fresh creations, made uniquely beautiful with the addition of bold new threads. Discover a Beauty and the Beast that explores the tragedy of patriarchy and purity culture, and fall in love with a Little Mermaid who salvages a priceless treasure in the wake of her heartbreak. The Rewoven Tales are not sequential and may be enjoyed in any order. 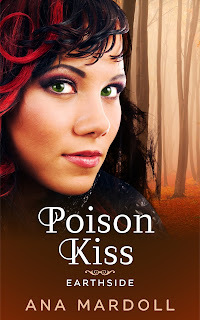 Experience a darker side of The Beauty and the Beast where, in a world of vindictive fairies and scornful magicians, not everyone will live happily ever after. Pulchritude tells the tale of Bella, a beautiful girl caught between her selfish father and an enchanted prince ready to sweep her into a dangerous romance built on deception and betrayal. This debut novel by feminist blogger Ana Mardoll returns a classic fairy tale to its origins as social commentary and in doing so holds a strange mirror to our own world. 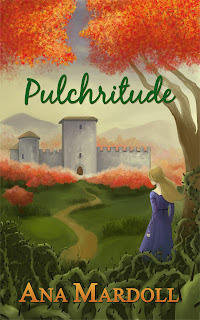 Note: Pulchritude is not a Romance novel. There is no Happily Ever After. 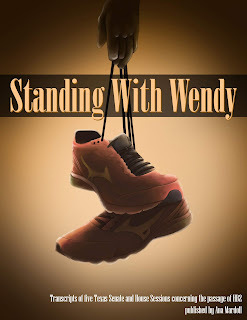 On June 25, 2013, Texas Senator Wendy Davis filibustered for nearly twelve hours in order to block the passage of Senate Bill 5, a bill which would greatly impact access to reproductive healthcare in the state of Texas. Though her filibuster successfully blocked SB5, the bill was repackaged and passed in a second special session as HB2. 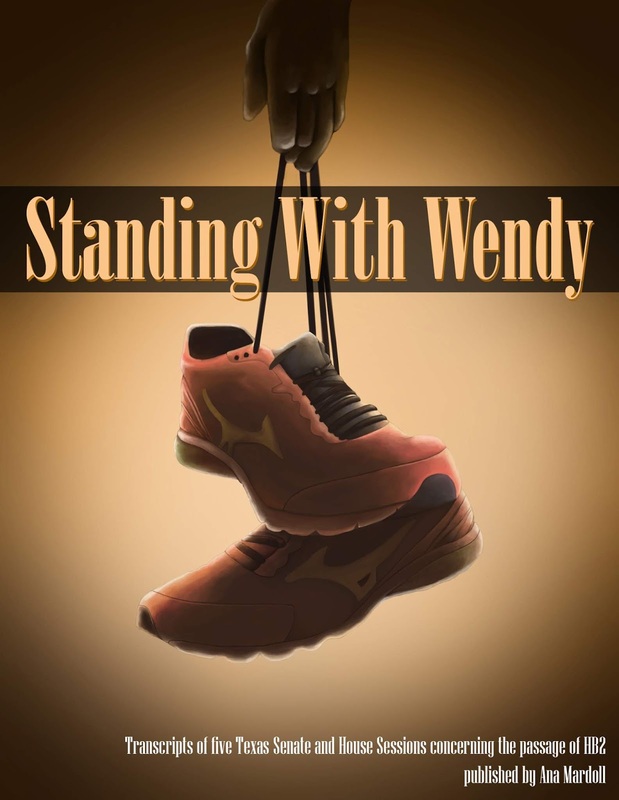 This work contains transcripts of almost 64 hours of debate and testimony on the Texas Senate and House floors, starting with Wendy Davis' filibuster of SB5, including the proposed House and Senate amendments for HB2, and ending with powerful citizen testimony on these bills. 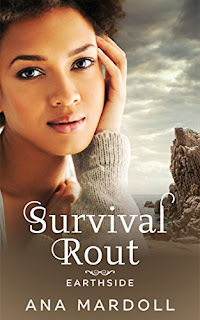 Review copies are available for free on request to reviewers and book bloggers. Write to anamardoll@gmail.com with the details of (1) the requested titles, and (2) your preferred book format. Please allow 48 hours to respond, as I have disability issues which sometimes render me unable to immediately answer. On a personal note, I was a reviewer for many years and still dabble in reviewing from time to time. I realize how much effort goes into a review and I greatly appreciate the reviews I receive as an author. Reviews are an author's lifeblood, determining where retailers place our books within search results. Thank you for your time and effort in helping to promote good work and inform other readers.